For those looking for a traditional fisherman's cottage in an ideal location with breathtaking vistas and only a stone's throw from the beach, then this cottage will not disappoint. Recently sympathetically refurbished by the owners to a very high standard, this spacious yet cosy cottage stands facing the sea and Start Bay in an area of outstanding natural beauty. The property will instantly appeal to those looking for a traditional seaside holiday, those who love the outdoors and wish to enjoy the beautiful views afforded from the Devon Coastal Path as well as couples looking for a quiet base from which to explore the South Hams. This fishing village retains much of the atmosphere associated with a bygone age, with a welcoming pub serving locally caught fresh fish and other culinary delights. 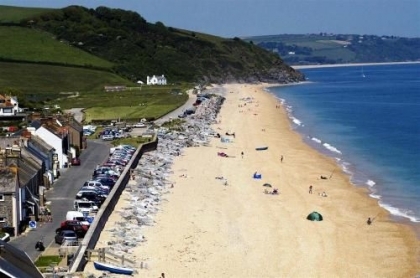 Beesands is not far to the pretty estuary towns of either Dartmouth or Kingsbridge with their range of shops, restaurants, cinemas and leisure centres.